In finishing the 2nd Global Research Challenge, starting July 16 until July 23, there will be double candies in catching and hatching Pokemon, +1 additional Rare Candy during raids, and halved Egg distance. What’s the best thing to do during this week to make the most out of the rewards? With Niantic hinting at the release of Generation IV, one of the things players should prioritize on catching are the Pokemon who have new evolution on Generation IV. We made an article regarding these Pokemon which you can check out here, but some Pokemon are worth a special mention. Lickitung is one of the rarer Pokemon in the list. Since it is a bit hard to see one in the wild, you should instead look out for the Field Research with the task: “Use 5 Berries to help catch Pokemon”. Remember that Research Rewards do not flee and have good IVs. Electabuzz, Magmar, Duskull, Sneasel, and Misdreavus are also rare in the wild, but these Pokemon nest, so if you are blessed with having one of these three currently nesting, you should pay those nests a visit. Nosepass, Roselia, Yanma, Magnemite, Snorunt, Swinub, and Rhyhorn are Pokemon that are somewhat non-existent to most biomes, but are relatively common on their own biome, especially during their own type’s weather boost. Ralts, Tangela, and Gligar, on the other hand, are the same as the other group, but are relatively rare on their own biome, and are only somewhat common on their own type’s weather boost. Electabuzz and Rhydon are also available on raids. Electabuzz is easily soloable while Rhydon not only needs a few people to raid, it’s not that appealing to raid either, given that Tyranitar and Golem (and sometimes Absol) are more popular for raiders. Finally, there’s Porygon and Togetic. It’s very hard to find these two in the wild, so you might have to settle for egg hatches for these two. Given that powering up Pokemon requires tons of candy, beyond level 30, this is the best chance to hoard as much candy as possible for meta relevant Pokemon. Geodude and Machop are somewhat common Pokemon that have meta relevant evolutions right now, since Golem is arguably a better option to use than Tyranitar when battling Zapdos, while Machamp is the best Fighting type in the current meta. Larvitar and Chansey are sought-after Research Rewards. Even if the Larvitar you have does not evolve to a Smack Down Tyranitar, regular Tyranitar is still a beast. Besides, you would need all the Larvitar Candies you can get if you do plan on maxing out the Smack Down Tyranitars you have caught. Speaking of Larvitar Candies, Raids offer the most candies per catch. Golem, Machamp, and Tyranitar each give 20 candies per catch during the event, plus more if you use Pinap Berries. Besides the current meta, you should also prepare for the future meta. The ones that are worth looking out for are Electabuzz, Magmar, Tangela, Roselia, Swinub, Rhyhorn, Ralts, and Porygon. Electivire and Magmortar, with the right moves, can be a great second option to Raikou and Moltres respectively. Tangrowth is a beefy Grass option while Roserade will be the best Grass attacker if it learns Solar Beam. 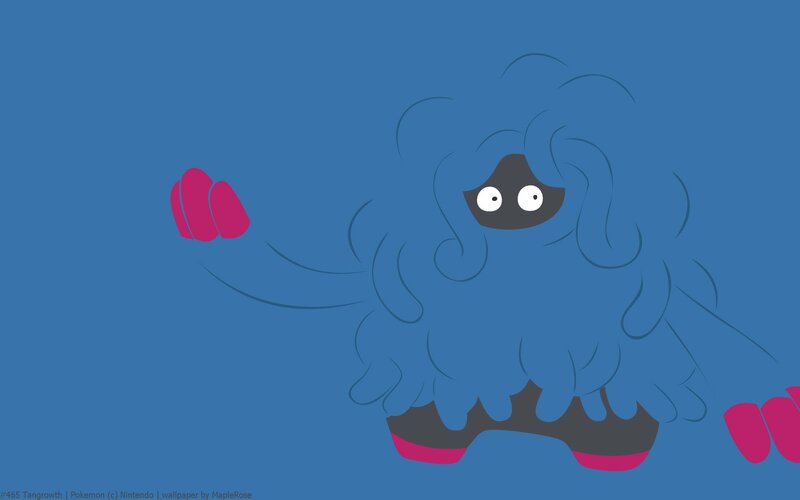 Mamoswine, with its bulk and power, should be the best Ice attacker. Rhyperior boasts better stats than an already great Rhydon but let’s hope it gets a usable Fast Move so it can be a budget version of Tyranitar. Gallade might be a beefier Machamp but not learning Dynamic Punch might save Machamp from not being the top Fighting attacker for another Generation before its inevitable fall. Finally, Porygon-Z will definitely leave a mark as the Normal type version of Alakazam. Even with a non-STAB move, you’ll be wary of this glass cannon. This is also the best event to prepare for mass evolutions. You can already evolve Pokemon like Pidgey, Caterpie, Weedle, Wurmple, and Whismur after one catch with the help of a Pinap Berry. Rattata, Sentret, Marill and Ledyba can also count if you mass evolve Pokemon with a 25 candy requirement. Finally, if you still haven’t completed your Pokedex and lack evolutions of somewhat rare Pokemon, this is the right time to hunt for their base forms. If that Pokemon nests, check out Silph Road’s nest atlas and look for parks that nest that certain Pokemon. Even if you only have the Unlimited Use Incubator, you should still Incubate your eggs, because you also get double Candies during each hatch. This is the best time to use your Super Incubators to lower the egg distance significantly. This bonus also helps other players who haven’t gotten the elusive Alolan-Vulpix in 7 KM eggs or Chimecho in 10 KM eggs. Not only that, hatching more eggs means more chances to hatch Shiny Pokemon that can only be obtained thru eggs like Wynaut, Magby, and Togepi. Using Pinap Berry will increase the candies dramatically during the event. When you catch a Tyranitar, a Second Evolution Pokemon, having used the Pinap Berry, you will receive a whopping 40 Larvitar Candies. This makes it more enticing to do raids of Second Evolution Pokemon, but the only ones worth doing are Machamp, Golem, and Tyranitar. You can also do Rhydon to prepare for Rhyperior. Because Zapdos Day is within this week’s Bonus Reward, you will also have double candies when catching Zapdos, as well as earning an additional Rare Candy after each completed Raid. This makes Zapdos Day all the more enticing than it already is. Make sure to plan out your route. Be familiar with all the gyms in your area and map out an optimal route to reach the most gyms within 3 hours. Remember that this event is on a Saturday, so plan your route accordingly. Some routes differ on the amount of traffic between weekdays and weekends so consider these things when routing your journey. If you plan on moving ahead when the battle starts, make sure everyone is on the know regarding the plan so that no player will feel betrayed when they got booted out during the raid. If the driver is also a player, please do practice safe driving and assign a person who will handle his/her phone. Be respectful to the places that host raids, especially on some government and religious institutions that hold their services during that day. Giving Back: An Interview With RioHammer!